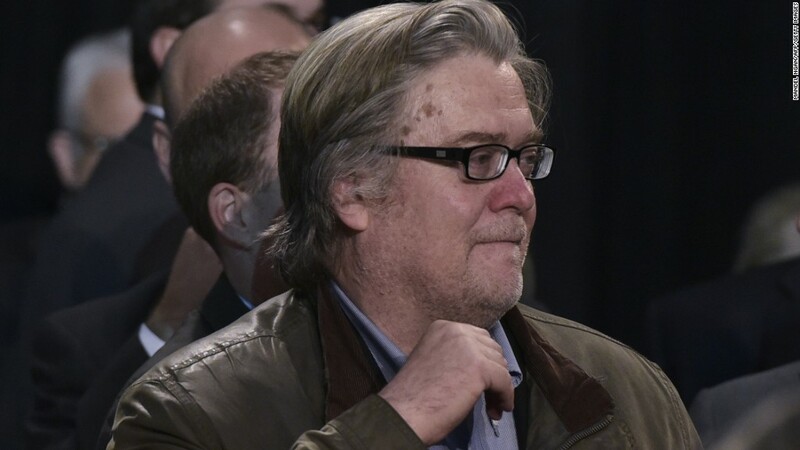 As President Donald Trump has drifted away from Steve Bannon, the alarm bells have gotten louder at Breitbart News, the site Bannon used to run. The latest source of angst for Breitbart came late last week, when Trump tapped former Republican Congressman Spencer Bachus to serve on the board of directors for the Export-Import Bank. Bachus, the former chairman of the House Financial Services Committee, is apparently the only politician whom the website's late patriarch, Andrew Breitbart, ever called upon to resign. On Breitbart's radio program on Monday, the site's senior editor-at-large Peter Schweizer called the appointment "troubling." Breitbart editor-in-chief Alex Marlow, while saying he still had confidence in the president, admitted that he had become "more concerned about the potential for corruption in the Trump White House." The exchange demonstrated just how complicated -- and fraught -- Breitbart's relationship with the new administration has become. A year ago Monday, the site ran one of its many interviews with then-candidate Trump, who used the opportunity to denounce a column in the Wall Street Journal by GOP operative Karl Rove. Matthew Boyle, the Breitbart reporter who conducted that interview, did his part to substantiate the critique, saying that Rove had "misquoted" Trump. It was an apt representation of the symbiotic relationship between Breitbart and Trump, one in which the candidate provided an enviable level of access and the outlet responded with adoring coverage. But nearly 100 days into Trump's presidency, the tenor has shifted -- subtly -- at Breitbart. "When Trump's keeping his campaign promises, we're going to praise him," said Breitbart spokesman Chad Wilkinson. "When he breaks those promises we're going to hammer him." "Maybe hammer isn't the best word," he added. "We're going to be critical of him." The change in tenor on the site has coincided with recent signs that Bannon, the former Breitbart chairman who is now White House strategist, has been marginalized in the administration. Bannon's decline in influence has prompted questions about whether Trump could be veering away from the anti-establishment populism that animated his campaign and made him such a hero at Breitbart. It's also led to headlines that would have been unthinkable on the site a year ago. Last week, Breitbart ran a column from conservative firebrand and Trump superfan Ann Coulter decrying the United States' recent missile strike in Syria. Another story the same day suggested that Trump's lukewarm remarks about Bannon had led to concerns within the president's populist base. Breitbart hit that theme again Friday, with a feature story detailing what it said were mounting concerns among Trump's supporters in Michigan. "The writing is obviously not yet on the wall as far as a second Trump term goes," wrote Breitbart's Raheem Kassam. "But if the first 100 days — especially the second half of that time period — are anything to go by — the Donald will have some serious explaining to do in about three years time." Breitbart can still safely be categorized as pro-Trump. A day after Kassam's story, Breitbart editor-at-large Joel Pollak hailed Trump for "signing over a dozen laws reversing Obama-era regulations, marking the most substantial legislative achievement of his first 100 days in office." The combination of critical and fawning headlines may underscore the crossroads at which both Bannon and Breitbart staffers find themselves. On his radio show Monday, Marlow captured the mixed feelings percolating among many of Trump's boosters. "I still feel Trump will be better than most, if not all potential people who could have been president at this point in time," Marlow said. "But we promised we would hold him accountable and that's exactly what we're going to do."